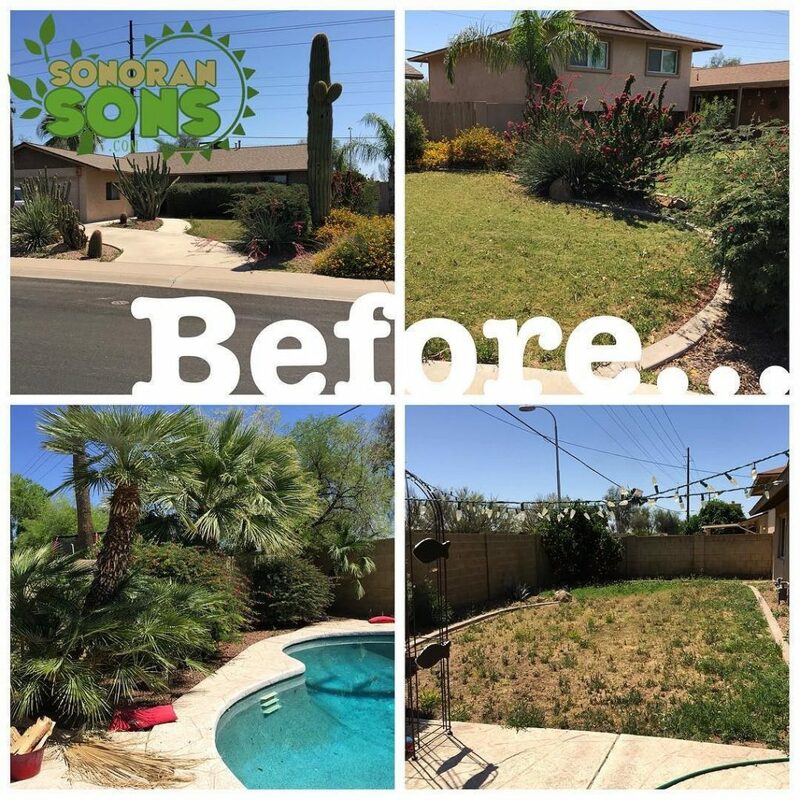 Home » Blog » Check out this Yard Clean-Up in Phoenix! We specialize in yard cleanups and regular monthly lawn care. If your yard is looking nazzzzty and overgrown, we can jump into any yard and get it whipped into shape. Once the yard is cleaned up, its much easier to maintain monthly. High grass and dead weeds are a fire hazard and a visual blight to your home. If you would like to enjoy your back yard this summer then do not hesitate to TEXT or call us at 602-488-1624. You can send us a few photos of the problem areas and we can typically give you a quote that is accurate within about $25. ALL THROUGH TEXT! We are one of the only landscaping companies in Tempe and Phoenix that does this. 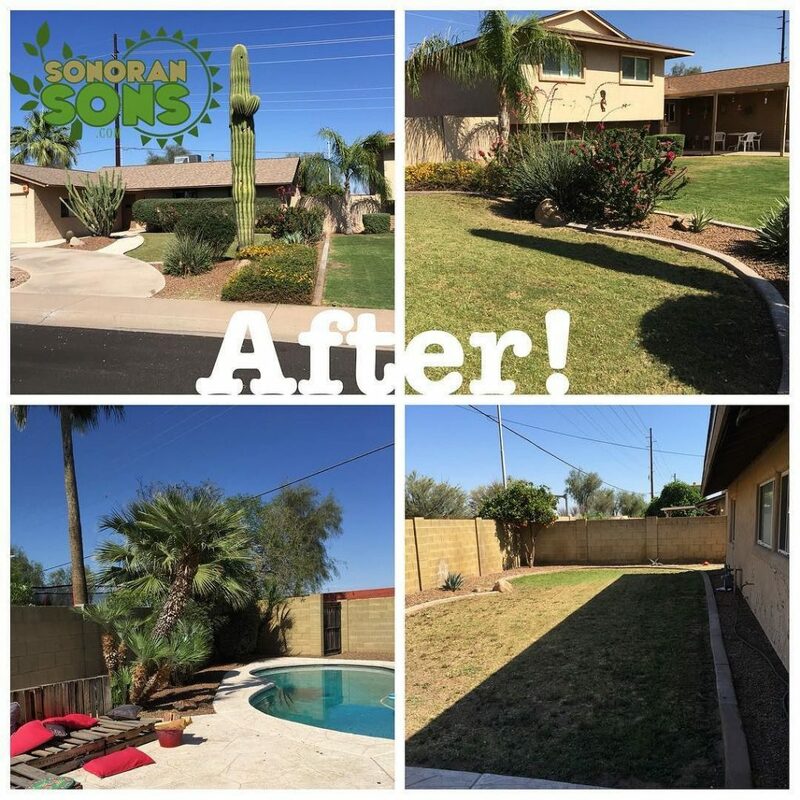 Use the SLIDER FEATURE on the photo below to check out the difference Sonoran Sons Yard Clean up can do.